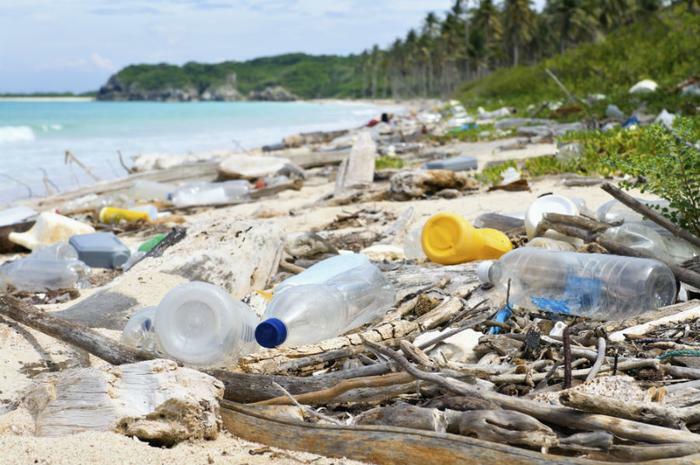 An international team of researchers may have accidentally engineered an enzyme that could help mitigate the global plastic pollution crisis. The enzyme is able to digest polyethylene terephthalate (PET) plastic, of which hundreds of millions of tons are produced each year in the form of plastic bottles. PET plastics, which were first patented in the 1940s, can linger in the environment for centuries. However, researchers from Britain’s University of Portsmouth and the U.S. Department of Energy’s National Renewable Energy Laboratory say they may have serendipitously discovered an enzyme that can eat PET plastic. The discovery was made while examining the structure of a natural enzyme believed to have come of age in a Japanese recycling center. The bacterium had naturally evolved to eat plastic. When the team tweaked the structure of the enzyme by adding some amino acids, tests showed that it made the molecule even better at breaking down PET plastic. The discovery could be a step toward eliminating the huge swaths of plastic waste often found floating in oceans or washed up on beaches all over the world, the researchers said. The researchers are currently working on improving the enzyme further to allow it to be used industrially to quickly break down plastics. "Serendipity often plays a significant role in fundamental scientific research and our discovery here is no exception," said McGeehan. "Although the improvement is modest, this unanticipated discovery suggests that there is room to further improve these enzymes, moving us closer to a recycling solution for the ever-growing mountain of discarded plastics."